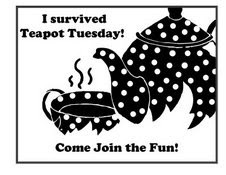 Today's Queen for the Day on Splitcoaststampers is Karen Dunbrook!. I so love her stamping style and designs that I cased two of her cards today. Click on these two separate links to see Karen's original creations: Country Garden and Delicious Colors. Here's my version of her Country Garden. 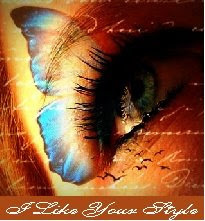 I changed colors, stamp sets, used a butterfly instead of a sentiment, and added a stained glass embossed background. This card was also made as a part of Kim Hughes' Ink Up with Color challenge from yesterday where you can only use color in your design (no black, white, brown, etc.) and Dawn Mercedes' Free for All challenge to be inspired by the sun. 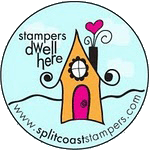 All of these challenges are on Splitcoaststampers. I colored the Rubbernecker Buds with Stampin' Up markers (Summer Sun, Cherry Cobbler, Old Olive, Close to Cocoa) and then misted them with water before stamping onto the cardstock. I colored the butterfly with various markers, stamped twice, and cut out the second one so I could fold up its wings. The panels are popped up on dimensionals. The following card is my version of her Delicious Colors card. I love how Karen created her cute pinwheel by cutting four squares, cutting them in half, and then rounding off the indicated corners. I changed papers, colors, and added cross diagonal scoring with my MS scoring board in the background. I used this delightfully fun birthday designer paper and teal button by American Crafts. I colored my linen thread with orange using a Copic marker for the button center. I love how fast this came together!! These are such creative designs, Charlene. Love them both. The pinwheel card looks awesome -- such a wonderful blend of colors and patterns. Your version of the country garden card is absolutely gorgeous. Beautiful stamping and design. Have a great weekend! The first creation is just beautiful, Charlene! Fabulous design! Love the Rubbernecker image! The pinwheel card is very cool. Love the papers and design! Hope you have a marvelous vacation and that you got to visit Kittie! Hiya Charlene.. These cards are simply gorgeous. The one at the top is stunning... LOVE it! Hope all is well with you in your neck of the woods. I just love these cards, the first one is so pretty and wonderful colors, the second is such a fun fun fun birthday card design!! Hey Charlene!! I saw these two beauties on SC and had to come here and tell you how gorgeous these creations are. I just love the white with the embossing and the beautiful images. The pinwheel design with all the fun colors and patterns is stunning as well. wow what great designs!! love it! 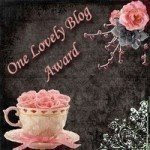 i am now following your blog :D hugz n blessings. What a pair of beauties! Wonderfully done. I love both of these cards Charlene! the RN bud trees look wonderful spotlighted on the squares and that pinwheel is so fun!! definitely casing these designs GF!! Your butterfly card is amazing!! No Buttons, Bows, Buckles, Brads!